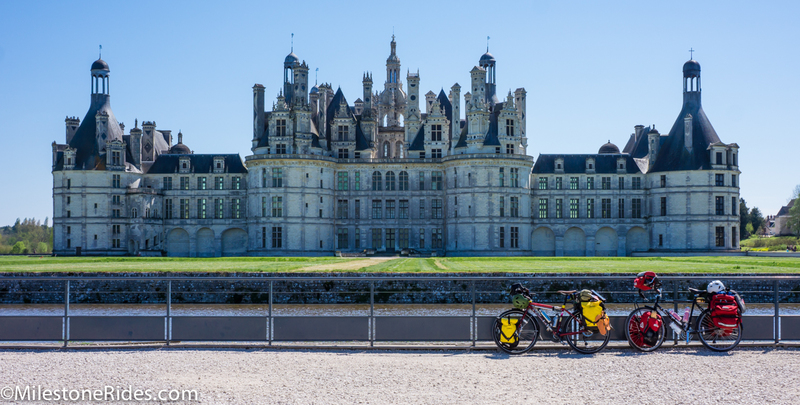 Cycling in Loire Valley is the ideal holiday. The wonderful atmosphere of this 8-day trip is created by one of the last wild rivers in Europe, and the idyllic landscape of its tributaries and lakes. The fascinating historical framework of the tour is built around the famous royal castles and Medieval towns, which you will visit. 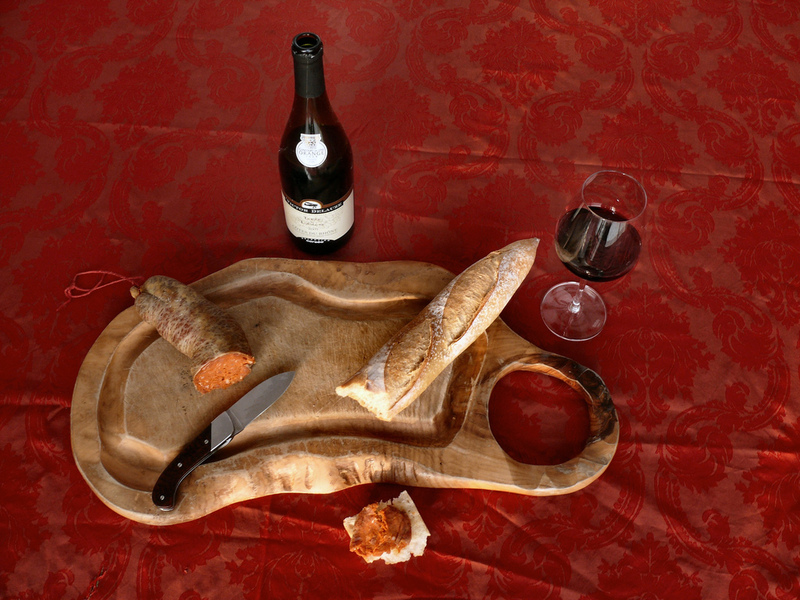 Exquisite French dining including gourmet midday picnics featuring regional delicacies prepared by your tour leader with fresh products. Cheese, ham, bread and desserts form part of the artfully displayed buffet along with wine, beer or alcohol-free drinks. 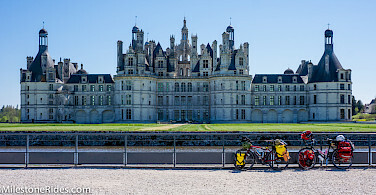 Take a look at our comprehensive list of all of our bike tours in France or all of our bike tours in the Loire Valley. 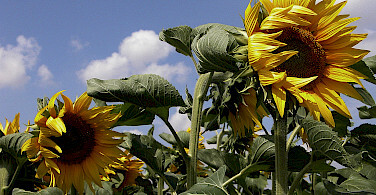 Fly to Paris Roissy-CDG or Nantes. 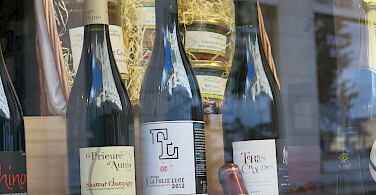 From CDG airport, you can take the TGV-train to Angers. 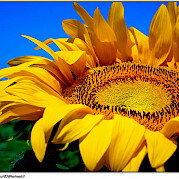 Total trip time is around 3 hours. From Nantes Airport to Angers, the travel time is 30 minutes. Arrival on Saturday in Angers. Your room will be available at 2 p.m. at the Hôtel Le Progrès, near the railroad station (overnight stay and breakfast are included in the tour price). 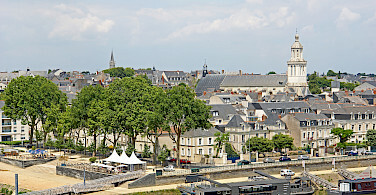 A short walk will bring you to the medieval defensive castle of Angers, which houses the world-famous tapestry series depicting the "Apocalypse of St. John". 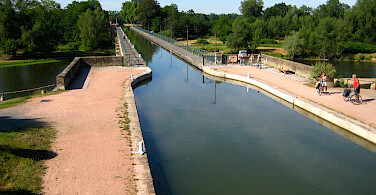 Starting the bike tour nine miles outside the town, you will follow along quiet and peaceful routes near the Loire river. In the early afternoon, you will arrive in the village of Cunault with an unexpectedly large Romanesque church. An hour further lies Saumur, famous for the National Horse-Riding School and the breed of noble horses. With luck, you will see some officers and horses at work. 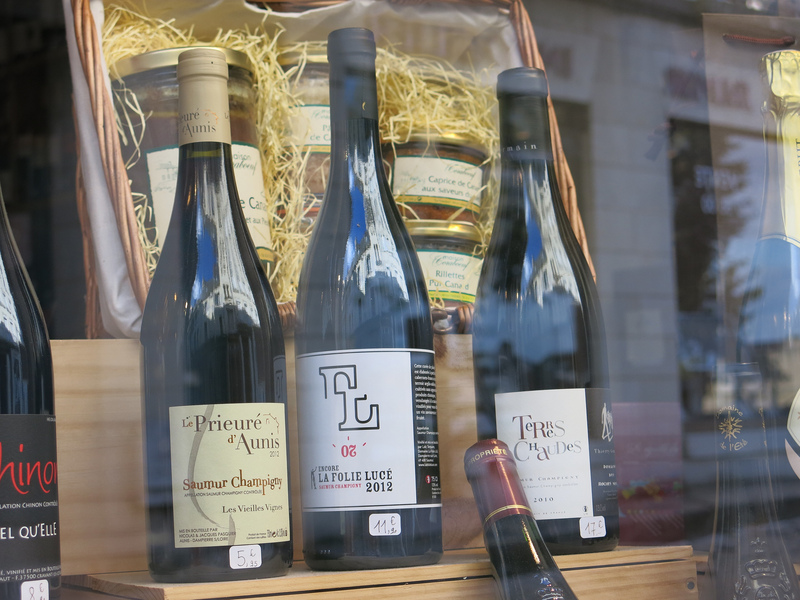 On the last kilometers to Saumur, also known for its aromatic red wines and Crémants, you will certainly be attracted by tuffeau caves, the city's former quarries, now used as wine cellars or for the cultivation of mushrooms, but also as apartments and restaurants. 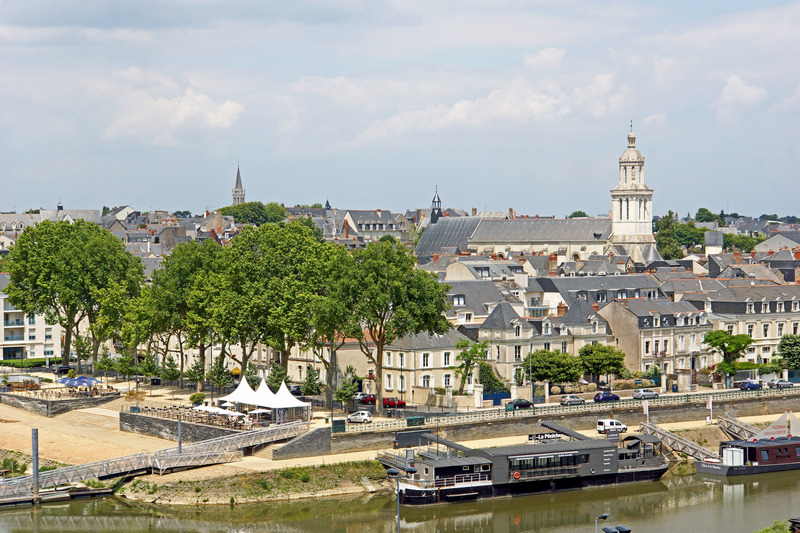 Right in the center of Saumur, the comfortable Hotel St. Pierre awaits you. You will have dinner in one of the town's best restaurants. 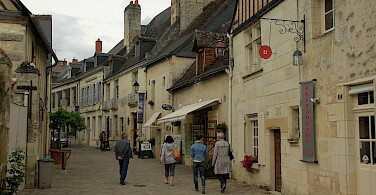 After breakfast, you will take a walk through the historic center to Saumur castle. Since the partial collapse of its walls, it has been under meticulous restoration and can only be admired from outside. 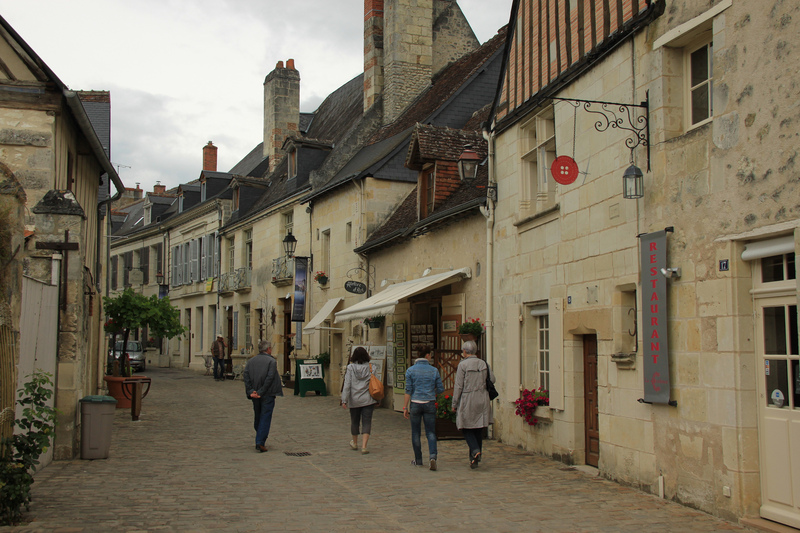 From the castle hill, you will cycle to Fontevraud Abbey, where the Plantagenet kings, among them Henrich II. and Eleonore of Aquitania, found their last resting-place. 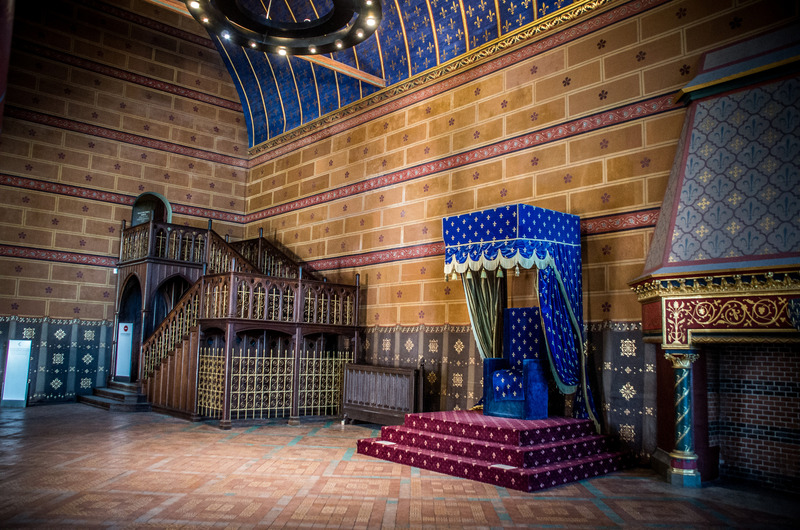 Also noteworthy is the "Tour d'Evraud", a kitchen edifice which masterfully combines practical and artistic considerations. 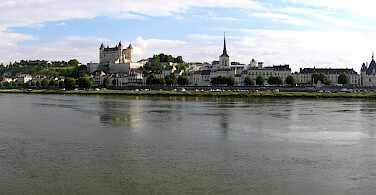 In the afternoon, you reach Chinon, the birthplace of Rabelais, which has admirably maintained its medieval character. 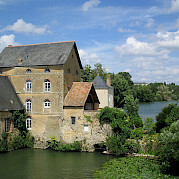 The fortress complex is a site of great historical importance to the French as it was the stage for the meeting of Joan of Arc and Charles VII. A few kilometers further, you will be received at the Manoir de la Giraudière, nestled in the vineyards which produce the famous Chinon red wine. Cycling along quiet country roads and forest paths, you travel along the wide valley of the Loire and Indre rivers. Today's first sightseeing objective is the fairy-tale Castle of Ussé (visit from the outside) with its numerous towers and turrets. 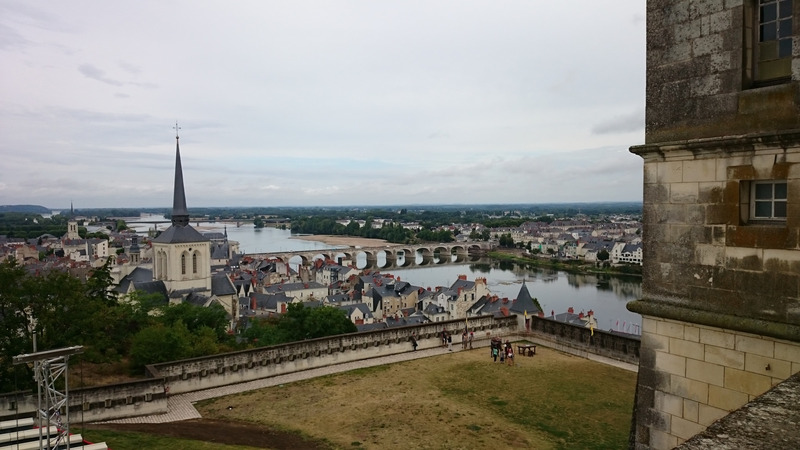 Following the Loire river, you are soon in Langeais. 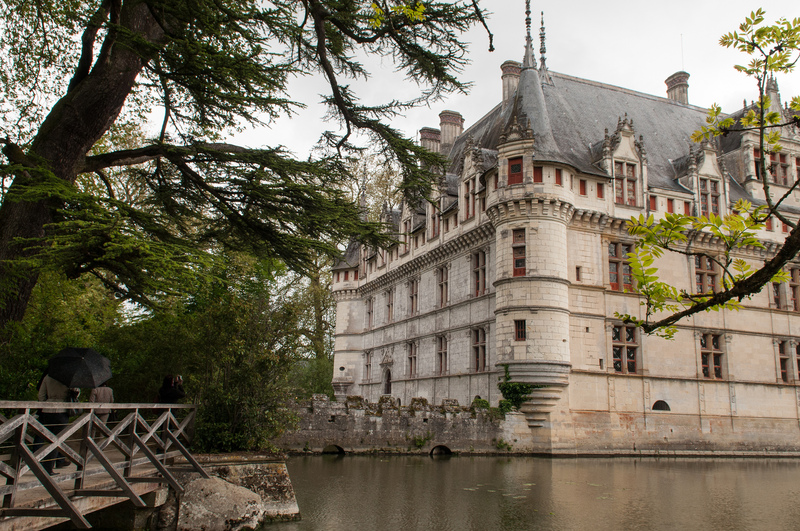 Before visiting this castle, where the marriage between Anne de Bretagne and Charles VIII took place, it is a must to savor the chocolate at Langeais' famous confectionary. 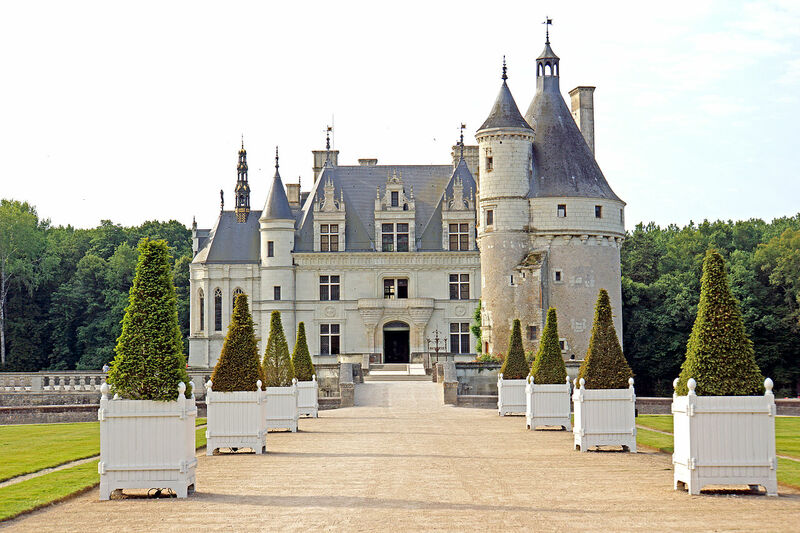 After an hour on the bikes, the "day of castles" ends with a guided tour of one of the jewels among the royal edifices in the Loire valley, the castle of Azay-le-Rideau. Tonight, you are the guest at Le Grand Monarque, a charming hotel in the style of a Touraine country-house. 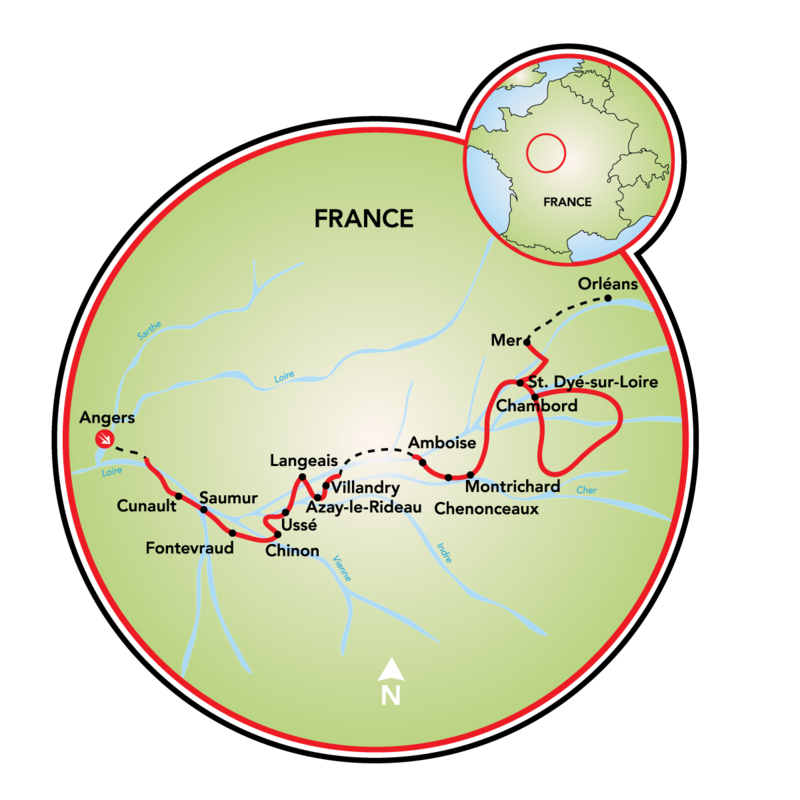 After a short climb, the route leads past orchards and extended forest areas along the river Loire to Villandry. You will visit the famous gardens of the castle which have regained their original Renaissance appearance only at the end of the 19th century. 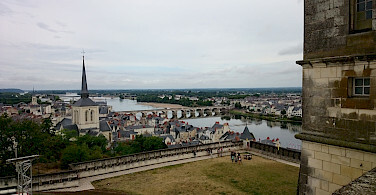 From here, you will take a cab to Amboise. The castle here was initiated according to the Italian Renaissance through Charles VIII. and completed by Francis I. 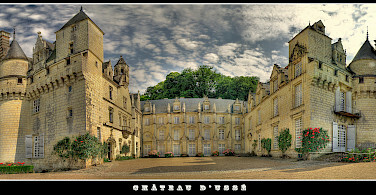 After lunch, you will visit Clos Lucé, the last domain of Leonardo da Vinci. You will pass a primary hilly route and get through forests before reaching the hotel Au Bon Laboureur, a Relais de Silence-hotel with the best cuisine. The exquisite restaurant has been awarded a star from the Guide Michelin. 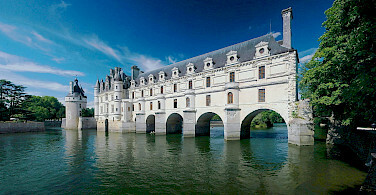 In the morning, you will walk through the enchanting castle complex of Chenonceau, beautifully straddling the river Cher. 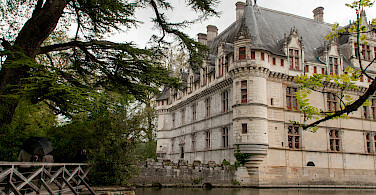 Legendary among the castles of the Loire valley, its destiny was primarily determined by females, earning it the nickname, "Castle of the Six Women". 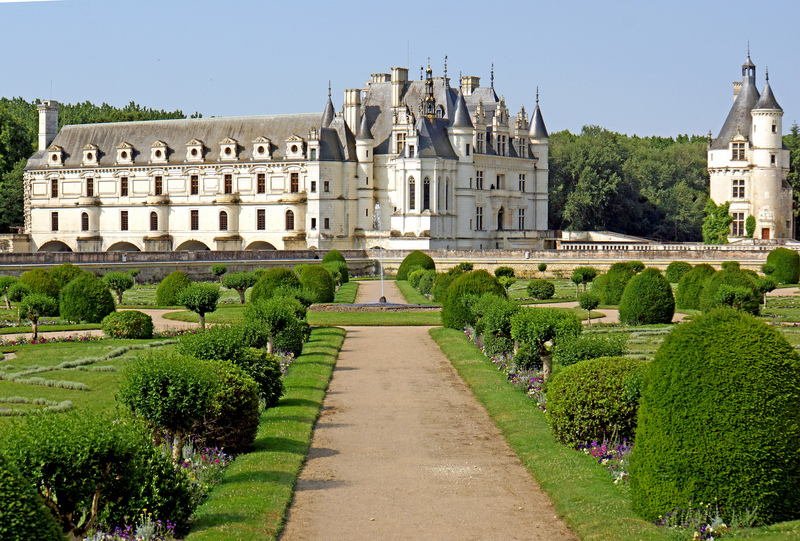 During the Enlightenment, Chenonceau found new life through visits by Voltaire, Montesquieu, and Rousseau, who sang the praises of its hospitality. A short transfer takes you to a height above Montrichard where you will mount your bike. 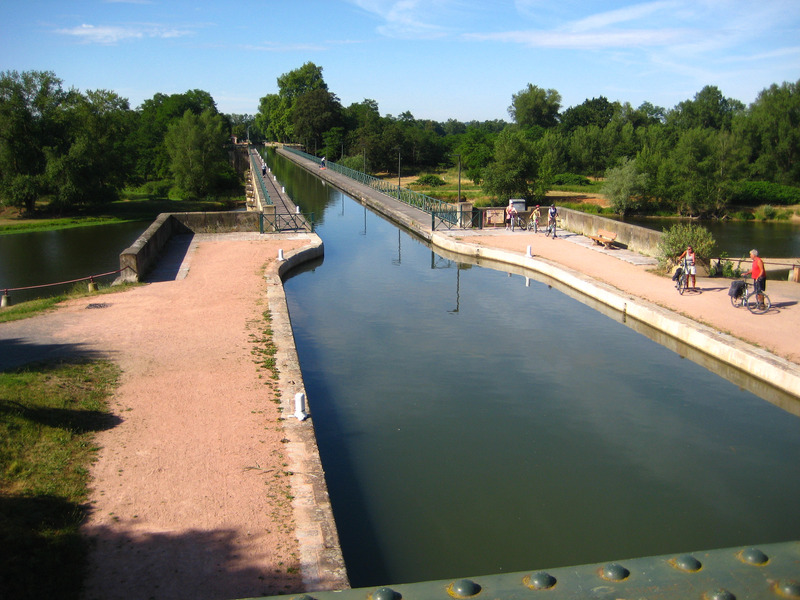 The village is located on the banks of the Cher river and home to one of the largest defensive towers in France. 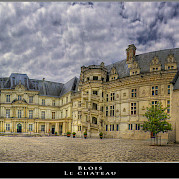 Lovely paths through fields and forests lead you to the next castle: Blois, the "Versailles of the Renaissance". 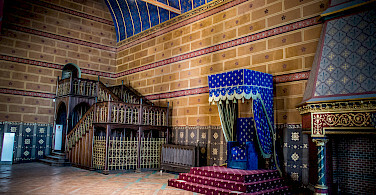 It was the showplace of intrigues and political influence in the Middle Ages. 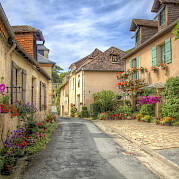 A taxi takes you to the rest of the way to the superbly situated Manoir Bel Air, renowned for its excellent cuisine, where you will spend the last two nights of the tour. 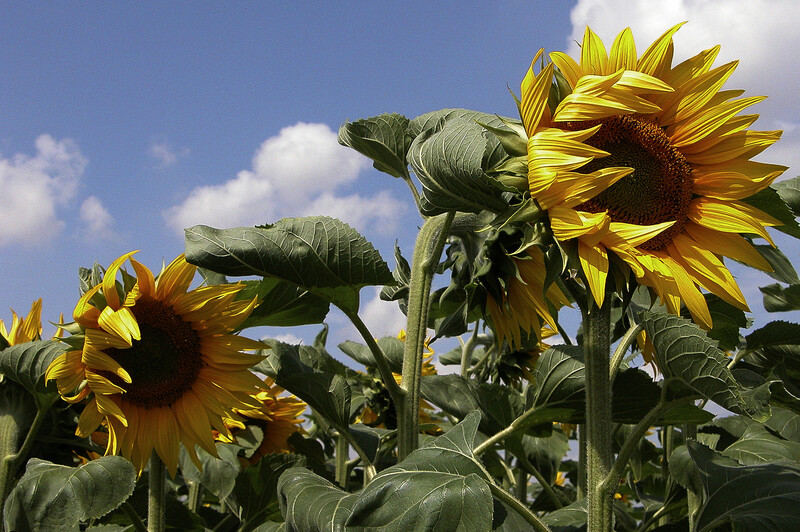 After breakfast, you will cycle through the northern part of the varied landscape of the Sologne region. The lonely path leads along isolated moorland, lakes as well as deciduous and pine forests, hiding a labyrinth of over 3000 ponds, a preferred nesting area for ducks, egrets and snipes. In this unspoiled nature, you will cycle past quaint villages with thatched-roof or red-brick houses. Hunting parties are still a tradition, their origin leading back to the Second Empire (1852-1870) when 340 hunting lodges had been built for the purpose. 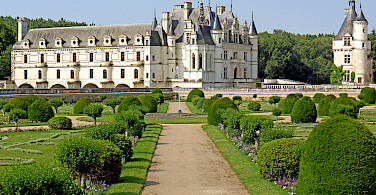 In the afternoon, the route leads to Chambord, the crowning glory of the Loire Castles. Charles V considered it "the embodiment of what human art can create". Even the approach to Chambord is striking. 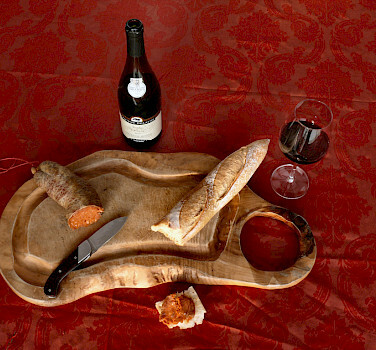 The exquisite cuisine of the Manoir Bel Air provides an appropriate finish to your Loire experience.